Now available at all Late Night Slice locations until Sunday, March 24th. 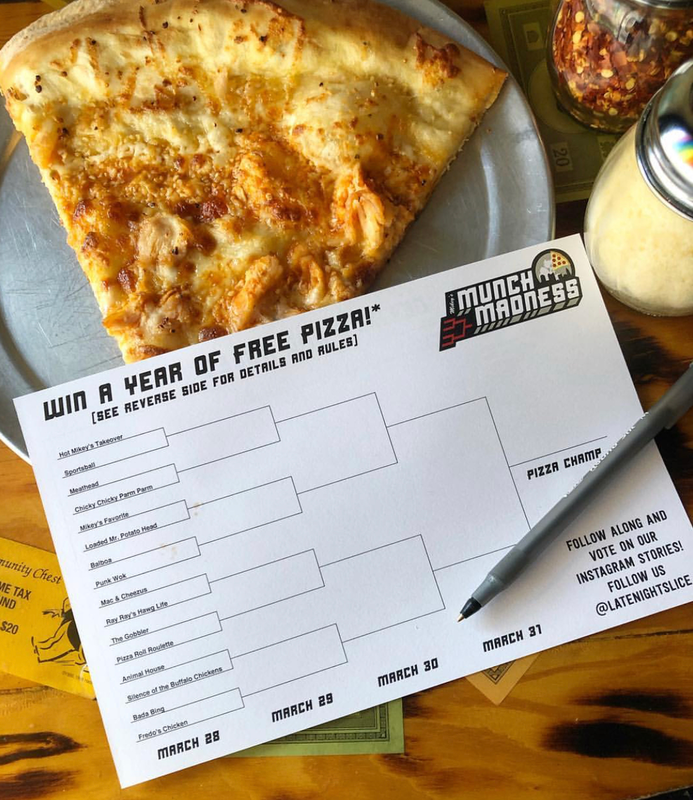 Complete a bracket with your favorite Pizzas of the Week and you could win FREE PIZZA FOR A YEAR! Voting will take place starting March 28th on our Instagram Story. Follow us @LateNightSlice on Instagram! All details and rules are on the physical brackets. Pick up one with your next slice!